As Andharban literally translates to ‘dark forest’, it is only fitting that this trek takes place entirely in the dense forests of the Sahyadri mountain ranges under the dark shadow of the night sky. You will trek on a stunning route that gradually descends from Tamhinighat to Bhira. Along the way, astounding views of the silhouetted mountains of the Sahyadri will accompany you. The rich greenery covering your route is marked by wild flowers that attract several butterflies and other birds. Your route will also take you across several monsoon-fed river streams and ponds that offer a chance to take a quick dip or relax by the water. • Trek under the night sky on this trek to Andharban. • Trek across multiple rolling hills in the Western Ghats. • Witness the nocturnal beauty of the Sahyadri mountain ranges. Cancellations made more than 10 days before departure of the night trek to Andharban: 90% refund. Cancellations made between 10 to 6 days before departure of the night trek to Andharban: 75% refund. Cancellations made less than 6 days before departure of the night trek to Andharban: No refund. There are no accommodation options available during this night trek to Andharban as travellers will be trekking through the night. Please note that washroom facilities are not available during the trek. Meet the rest of your group at the Saras Baug by 17:30 hrs. From here, you will board a state transport bus and travel to the Tamhinighat. After reaching the base at Tamhinighat by 22:00 hrs, stop for dinner and begin trekking towards Hirdi. Trekking under the dark night sky over the Sahyadri mountains makes for an amazing experience. 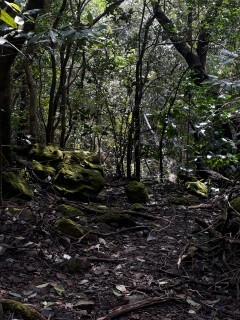 Continue trekking overnight. Continue trekking through the night at a leisurely pace. You will reach Hirdi by 01:00 hrs. At brief intervals, you can stop to rest and catch scenic views of the mountains painted against the night sky. Continue trekking via Konkan towards Bhira. You will reach Bhira by early morning to witness a beautiful golden sunrise. Take a break and spend some time exploring nature. Board a private bus from Bhira and travel towards Pune. En route, stop for hot tea and breakfast. You will reach Pune by 10:00 hrs. Your trip ends here. Trekking deep into the mystical forest. Accommodation options are not available since travellers will spend the night trekking. Please note that toilet facilities are not available during the trek. Today's meal package includes dinner at Taminighat at a tentative time of 21:00 hrs. After spending some time exploring nature, you will board a private, non-AC bus back to Pune. Today's meal package includes breakfast en route to your journey back to Pune. Saras Baug, Pune is connected to nearby cities by road via local transport of taxis and buses.